Little Klaus gave the farmer his sack with the dry skin, and got instead a good bushelful of money. 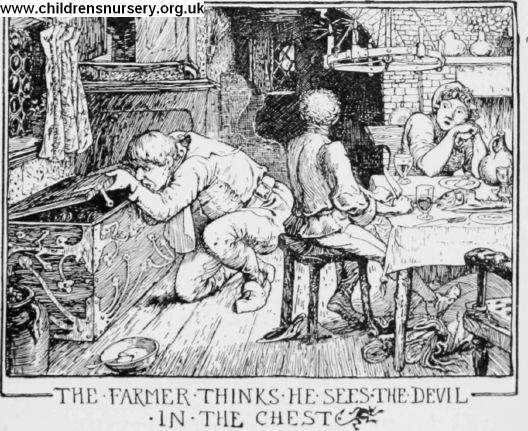 The farmer also gave him a wheelbarrow to carry away his money and the chest. ' Farewell,' said Little Klaus; and away he went with his money and the big chest, wherein sat the sexton. On the other side of the wood was a large deep river. The water flowed so rapidly that you could scarcely swim against the stream. Then lie took the chest with one hand and lifted it up a little, as if he were going to throw it into the water.